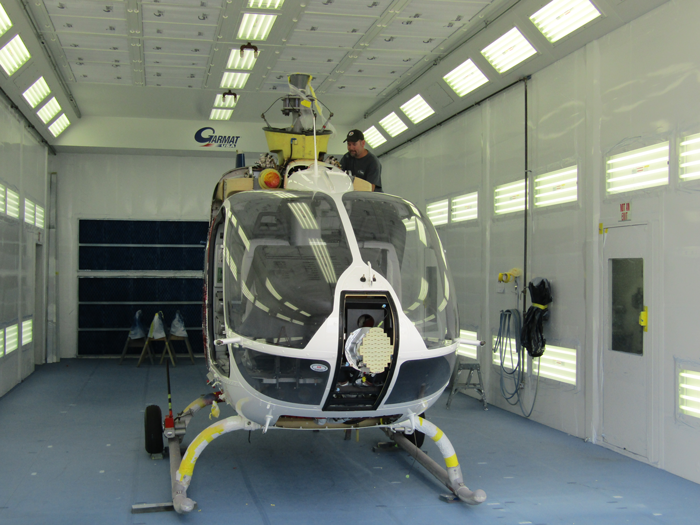 PAC International, a Metro Aviation company, is continuing to improve its refurbishment capabilities. The company recently completed installation of a Clemco Industries Industrial Blast Facility. Utilizing a variety of soft, yet abrasive media for removal of paint and corrosion, the new addition is yet another improvement to the innovative paint facility. PAC has proven the durability and quality of their services with the completion of several thousand new and refurbishment paint jobs over the years. The addition of the soft media paint removal system will further improve the quality and durability of the jobs performed by PAC through increased efficiency, increased quality of basic preparation and enhanced corrosion removal from the airframe. As a wholly-owned subsidiary of Metro Aviation, PAC is always looking for ways to improve quality and efficiency in support of a vast customer base. The company looks forward to continuing to provide the highest quality paintwork in the industry.